XCODE. 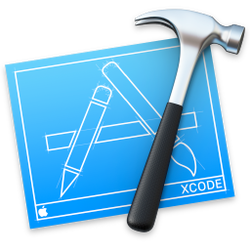 XCODE is the development platform to create iOS Apps for iPhone and iPads. XCODE is free to download from the Apple website. MAC. While XCODE can be installed on VMWare it is recommended to install on a Mac computer. SWIFT. The newest language to develop iOS apps. 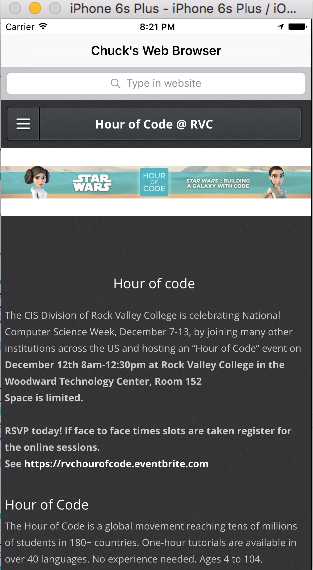 This Hour of Code teaches how to create a simple web browser.